Think you can't afford a 3DTV for the holidays? With Samsung introducing the first 3DTV to sell for under $1,000–less than half the price of the first TVs introduced less than six months ago–you may be able to think again. 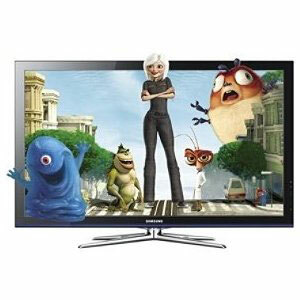 Samsung’s PN50C490 plasma 3DTV is a departure in price and specs. With a retail price of $1,100 (you can pre-order it today on Amazon for $989 ), the PN50C490 cuts the flat-panel entry point in half, making 3DTV much more accessible. And, better yet, it's a plasma, which generally offers better overall picture quality than LCD sets in the same price range. When Panasonic and Samsung launched the first flat-panel 3DTVs in March, the products were showcases for the best technology the companies could offer—including the ability to play 3D content. The price points matched—with Samsung’s 46-inch UN46C7000 LED-backed LCD TV retailing for $2,600 (or as of today $2,200 on Amazon) and Panasonic’s 50-inch TC-P50VT20 plasma for $2,500. So what’s the catch? The Samsung PN50C490 is a 720p set, not the higher-resolution Full HD (1080p). However that should be fine for most people since the ideal viewing distance is 9 to 10 feet, according to HDGuru.com (see the HDGuru.com viewing distance chart), and beyond that you likely won't notice a difference. And, we don't have all the details yet, but we suspect that it won't have other useful add-ons, such as Skype or Internet widgets. The bottom line is that if you’re looking for a 3DTV on a budget, the new Samsung PN50C490 is a great value. It's a plasma, which we've found delivers the best 3D experience, and it has the same underlying tech as Samsung's 1080p plasma, the PN50C7000, which goes for $1,700 on Amazon. Samsung really seems to be pushing 3D TV. Makes you wonder is there something else going on or are they just the first to get their name out there?